« Making the Sale or Changing the Customers routine? 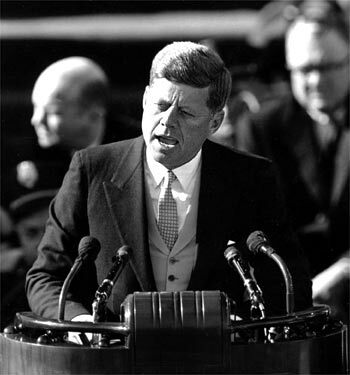 Imagine if JFK had made this famous speech on 20th January, 1961 in his back garden over the fence to his next door neighbour instead of in front of millions around the world – What a waste that would have been! Imagine having the same audience and wasting the opportunity by delivering a short, boring speech and saying nothing of any significance – What a waste that would have been .. While social media is still pretty much in its infancy I am amazed how many people are struggling with it – yes, they have jumped in there, have decided it is for them and that it warrants some effort but getting it right in most cases just isn’t happening. I am seeing two quite contrasting and very common things happening in our work with clients and in our social media training. This crew have found the knack of posting on-line, they are pumping out status updates, clever links, uploading fabulous pictures of new stock or from customer events, sharing videos on Youtube that are relevant to their business. The problem often is that they are devoting a lot of time to posting but to a tiny audience – what a waste. This very different crew are in a race for numbers, busy accepting connections on LinkedIn, accepting followers on Twitter and friends on Facebook but posting very little – “But, I don’t know what to say?” – what a waste. If you want to start winning with your social media efforts make sure you spend equal amounts of time and effort creating your worthwhile messages as well as creating an audience for these messages. Be patient, over time you will get better at posting, you will build the size of your audience and you will enjoy success with your efforts. This entry was posted on July 31, 2011 at 4:23 pm and is filed under Marketing, Social Media, Web Marketing. You can follow any responses to this entry through the RSS 2.0 feed. You can leave a response, or trackback from your own site. My guess is he had a big back garden!! thank you so much for the positive feedback ..it keeps me going !